I'm fascinated how many would be glad to see the back of agents and watching their demise due to this ill conceived bill. 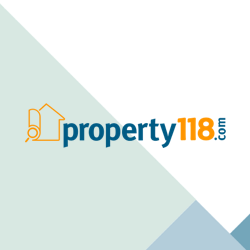 Agents departure from the housing market certainly would cause a Tsunami within the housing sector as a significant proportion of landlords would be completely unable to manage their lettings and sadly many have only a limited grip of the legalities and nuances of making a tenancy run properly. It would not be high fees to worry about but basics such as gas certs, smoke alarm cheques, Right to Rent, How To Rent...... etc etc let alone the upcoming 5 yr electrical safety checks and new CO requirements. Responsible agents are being challenged nearly as much as the greedy and it is bizarre how they expect a business to run without making a profit. I do not hear of hairdressers or solicitors, butchers or electricians being asked not to charge profit making fees to cover their business costs but letting agents are being legislated to do just that. A properly established tenancy takes many man hours to prepare and this has to be paid for. If an agency cannot employ the right number of staff and train and retain them to carry out an effective and responsible job then there will be massive unforeseen consequences that messes with whole swathes of society - If landlords cannot let properties effectively there will be a dramatic fall in available properties, if these properties are then off loaded into the sales market it will destabilise that too. It could be a real mess! Neither a landlord nor an agent will be able to charge a tenant to be referenced as a fee separate to prescribed fees - ie rent, 6 weeks deposit etc. You will be able to charge 1 weeks holding deposit which can be retained only in some very precise circumstances laid out in schedule 2 to the Act. It has been written very carefully to prevent landlords or their agents getting round the Act with “a Cunning plan” and anyone found out making an unlawful charge will not be able to act on it until the tenant has been paid back in full (+ interest). Once passed you will have to calculate your costs and incorporate them into your rent charged and hope than a you can find a tenant willing to pay it. You at also not allowed to charge a higher rent for first rent and reduce later either so it will be an “interesting “ time for the first few months as tenants get used to a step change in rents. For landlords who use agents you will also most likely see a dramatic change in agency fees as agents will be trying to cover 10s of thousands of pounds for a small to medium agency and large agencies hold face an income gap of £100,000+. For National corporates it will be eye wateringly large!